(EDGE) Vice President Mike Pence's daughter tweeted out support for John Oliver's parody book about a gay rabbit that mocks her father's views on LGBT rights. 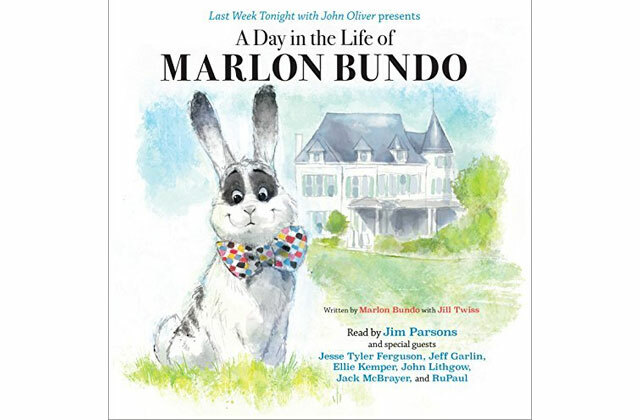 A day before the Pence family released "Marlon Bundo's Day in the Life of the Vice President," the "Last Week Tonight" host released his own version, a book based on the Pence family pet called "Last Week Tonight with John Oliver Presents a Day in the Life of Marlon Bundo." The picture book takes aim at the vice president's stances on LGBT issues and features the rabbit's romance with another male bunny. Oliver's book went to outsell Pence's book. Apparently, one of those helping out Oliver's sales is Pence's own daughter, Charlotte Rose Pence. "I think imitation is the most sincere form of flattery, in a way," Pence said in an interview with Fox Business Network on Tuesday, CNN reports. "But in all seriousness, his book is contributing to charities that I think we can all get behind. We have two books that are giving to charities that are both about bunnies, so I'm all for it, really." Taking to Twitter Wednesday, she wrote she's "happy to support charities and important causes." As of this writing, Oliver's book is still the no. 1 best-selling book on Amazon. The Pence family's book, which was written by Charlotte Rose Pence and illustrated by her mother second lady Karen Pence, is no longer in the top 20.